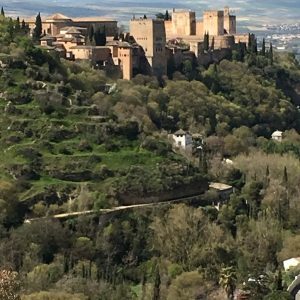 Explore the Trails of the Alhambra and beyond during this leisurely 4-hour outing to see: Roman ruins, ancient water reservoirs called “aljibes,” which were built by the Moors; the artifacts that inspired Washington Irving’s “Tales of the Alhambra;” and stunning views of the Alhambra, Granada, and the Sierra Nevadas. 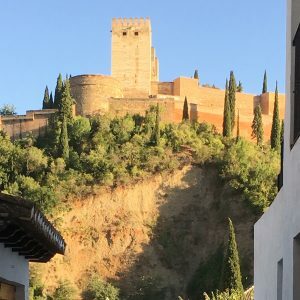 This 4-hour leisurely ride starts in the center of Granada and takes us almost immediately onto the grounds of the Alhambra, where we’ll ride through history on our way to the trails just behind the Alhambra. 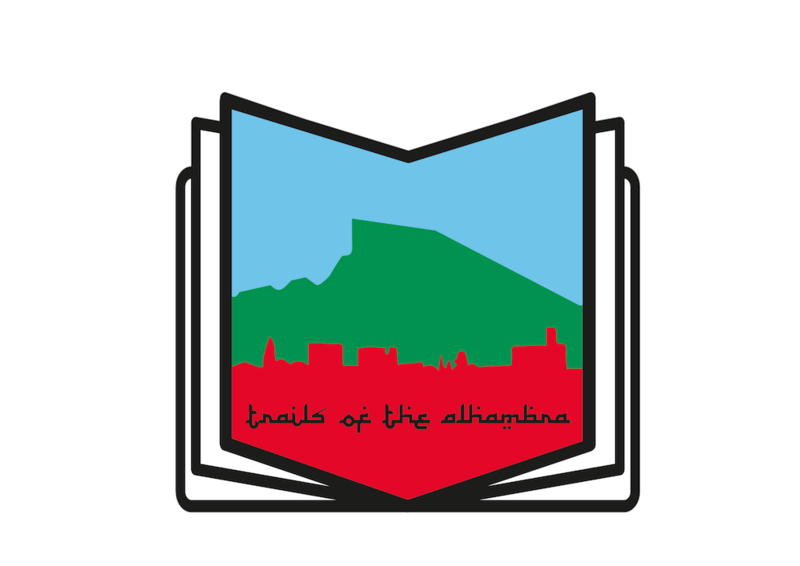 Once there we’ll explore explore the Trails of the Alhambra in search of optimal scenery with minimal suffering. We may cross paths with a herd of goats or a flock of sheep on their way way to manage the overgrowth, meanwhile we’ll take in more of the ambience perfumed by wild rosemary, marjoram, and thyme. After we’ve had our fill of the views, we’ll descend to the valley below to pass through some olive groves to enter the Sacromonte neighborhood, where we can either ascend the valley’s other side to gaze back on the Alhambra, or we can head straight for lunch where we can languish a while longer on the terrace with a view of the Alhambra. 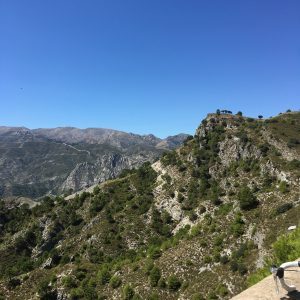 Bike rental (mountain bike or e-mtb) including helmet and water bottle; guide; ride-along snacks prepared fresh that day; post-ride tapa, chef’s own creation; lunch highlighting Granada’s diverse cuisine; and scenery accessible only by bike.